Halibut Point State Park - Rockport, MA (Cape Ann) - Take a day trip! Scenic Views: The views from Halibut Point of both the former quarry and coast are amazing. There are many places to sit down, relax and take in the lovely seaside scenery. I’d recommend packing a picnic. Saltwater Fishing: Saltwater fishing is permitted with the appropriate permits. 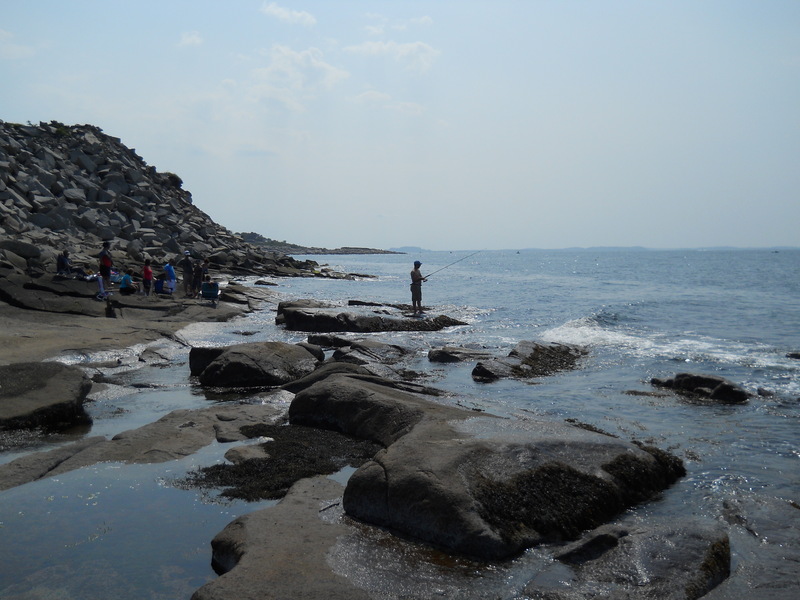 Saltwater fishing at Halibut Point State Park. Swimming: Swimming is permitted at Halibut Point however there is no beach area. The coast is rocky and it can be very slippery. Most people don’t swim but will instead soak in the water on a rock. Be very careful is you think about swimming as entire coastline is rocky and there aren’t any sandy beach areas nearby. Historic Quarry self guided tour: The entire park is shaped by it’s former role as a quarry, from the quarry remains in the middle to the overlook which is built on waste pieces dumped to form it. The park map available from the rangers when you park has these sites located on the park map with quick write-ups as well. 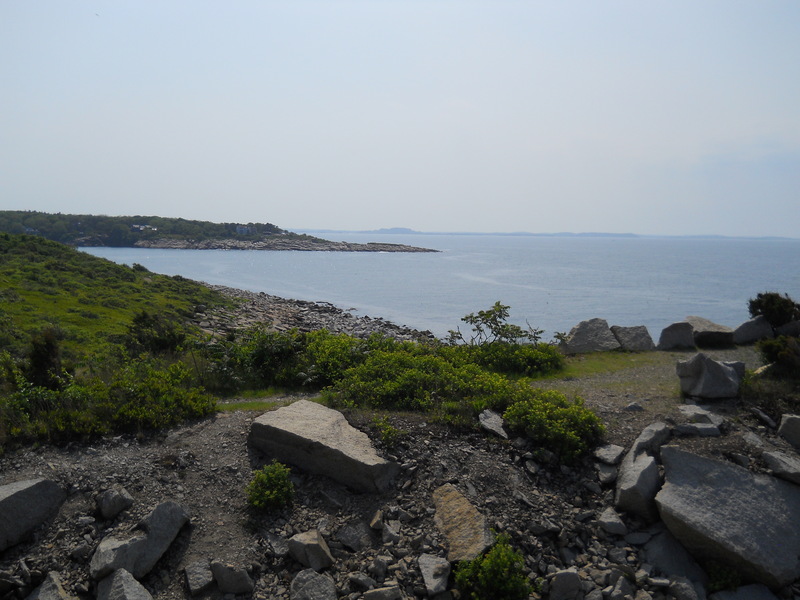 Favorite Activities: Halibut Point is a wonderful place to enjoy the panoramic views of Cape Ann, enjoy a picnic and maybe soak in the ocean or some sun on the rocks. I’d recommend packing a picnic and bringing some friends along. Facilities, Fees and other information: Halibut Point does charge a $2 parking fee during the summer season. There are restrooms and water fountains at the visitor center, which is a restored World War Two fire control tower built to coordinate coastal fortifications. There is no food for sale in the park. More information is available at the official park website or call the park headquarters at (978) 546-2997. How to get here: Halibut Point is located in Rockport just north of the downtown off Route 127. To get here take Route 128 north until you see the second sign for Route 127, which will be a left turn. Follow Route 127 for a about one and a half miles and there will be a sign for Halibut Point State Park at the intersection of Gott Road. 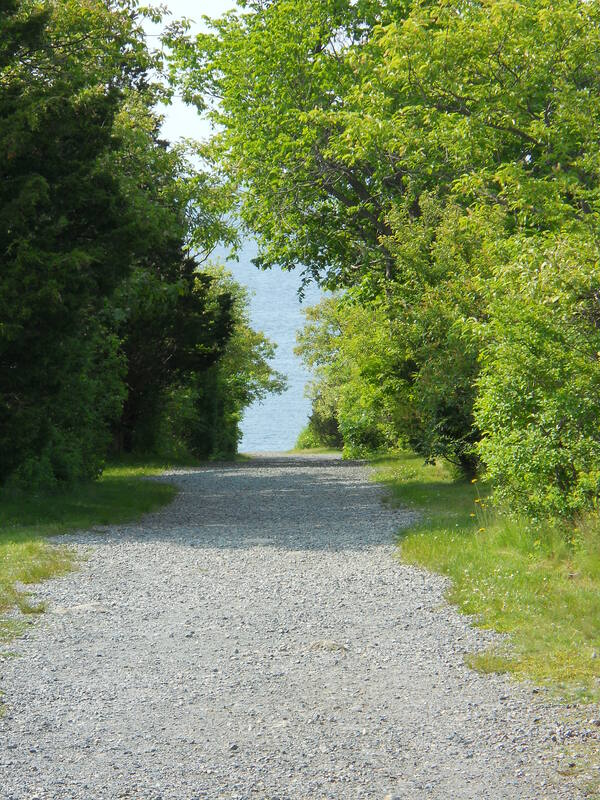 The park is on Gott Road which is a turn north of downtown Rockport (and the intersection of Route 127A) and Bearskin Neck. If you’re using a GPS device put in an address on Gott Road in Rockport and you should have no trouble getting there. Or, you can use the location on the map on the welcome page to get directions from wherever you are as well.